ZYPHO is a compact and highly efficient heat exchanger that is installed under the shower tray. It absorbs the heat energy from the drainage water and uses it to preheat the cold water, reducing energy consumption by 30%. Every day, enormous amounts of energy in the form of warm shower wastewater flow unused into the sewer. For example, an average household uses around 200 liters of hot water at 38 ° C per day, the energy potential of which has not been efficiently utilized until today. From a technical point of view, the recovery of heat from wastewater by means of heat exchangers is well-known, with the ZYPHO this know-how is being efficiently implemented in the shower area for the first time. Depending on the desired shower temperature, the mixing valve in the shower mixes cold with warm fresh water. In the ZYPHO, the cold fresh water is preheated by the warm shower waste water and thus comes at an already higher temperature of approx. 24 °C in the mixing valve. This results in many advantages for you. Strong reduction of the required amount of additional hot water to achieve the desired temperature. Annual cost savings of around € 200 (avg. Austrian household with 4 persons). Thus, the issue pays for itself in just 2 years. ZYPHO is a waste water heat exchanger and with its compact design, which is specially designed for showers, it can easily be installed under every shower tray. 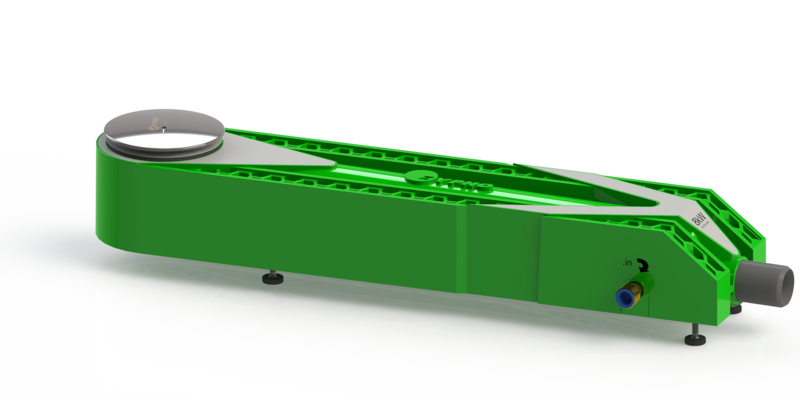 Standard version with waste water inlet above; also available as a special version ZYPHO IZI with wastewater inlet on the side for alternative installations. 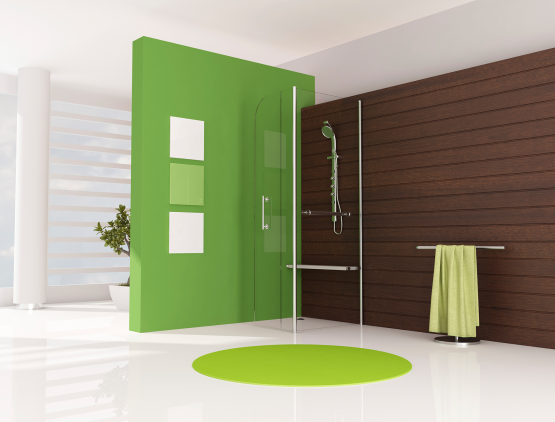 ZYPHO complies with the strictest hygiene regulations. The wastewater is double-walled according to EN 1717 and therefore never in direct contact with the clean shower water. Legionella pose no danger because the warm waste water never stagnates due to the internal gradient of 2% and the corpus cools down to below 25 ° C in the resting phase (according to WHO recommendation). In addition, the copper tubes used also contribute to the prophylaxis of Legionella. 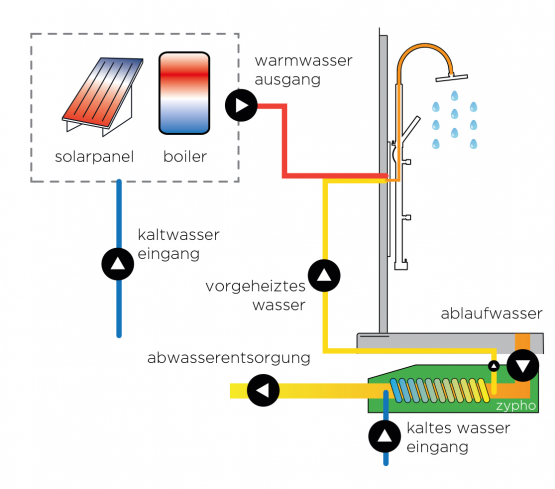 Our experts will inform you in detail about “saving water and energy”. We help you to choose the right type. We calculate your individual savings. We are there for you – and answer your questions (price, installer partner, etc. ).